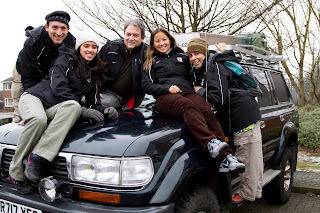 The Kickabout team brings a variety of experiences and expertise to our little expedition. A doctor and coach, a highly decorated professional player, a shutterbug with a passion for football, a storyteller and media maven; they are a walking and wandering example of how football speaks to us all. 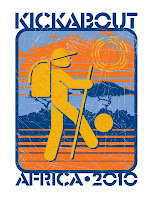 We are proud to be a part of this wonderful mission, and we will do all that we can and all that we must to see that Kickabout: Africa 2010 is a huge success. Soccer isn't just a game, but a lifelong fervor for many. Finding the sport to be a powerful force in shaping her as a person, Lorrie Fair recognizes soccer as a unifying language that defies barriers, be it language, cultural, economic, or gender. Thus, she founded Kickabout. Fair is a former member of the US National Team and has played in the Olympics and the FIFA Women’s World Cup. She has traveled all over the world as an athlete ambassador for the US Department of State and the international NGO, Right To Play. As a former international player, Lorrie's passion has been in the Sport for Development world for over a decade. Originally from Northern California, she is a crossword enthusiast who loves people watching, food, and Yoda. For decades, Dr. Tom Simpson has dreamed of traversing continental Africa from north to south. This desire was born from a love for the people he met over the many years he lived in Kenya while working with the Peace Corps. Today, many in the soccer community know Tom as a coach and owner of the professional soccer team the San Francisco Seals. Having traveled extensively all over the soccer world, he led a historic trip that took the first U.S. soccer team to visit Vietnam post-war in 1997. Tom is a pediatrician and resides in San Francisco with his wife, Maria, who joins him on the journey. You can follow Tom and Maria’s journey on their personal blog here. Ashley Paguyo is Kickabout’s social media maven, keeping people in the know about the team’s wanderings, happenings, and whereabouts. She graduated from the University of Minnesota in 2009 and is our mass media specialist. 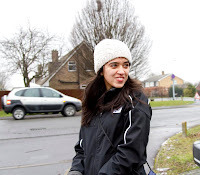 From north to south, Cairo to Johannesburg, Ashley brings Kickabout followers along for the ride across the continent, across social media forums. Though she’s athletically challenged, there’s no need to kick words about: simply put, Ashley tells a great story and chronicles our epic journey to share with you. You can follow Ashley’s tweets at www.Twitter.com/TheKickabout. 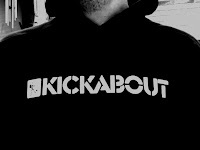 Eli Sinkus is the photojournalist that will be visually documenting Kickabout. A recent graduate of the University of North Carolina, Eli spent is four and a half undergraduate years studying photojournalism and working with the Tar Heels Women's Soccer team. Sporting national championship rings galore in women's soccer, he has participated in large scale photojournalism projects that have taken him to Canada, the Galapagos Islands, and yes, even Idaho. You can follow Eli’s photo journal here. 8 comments: on "The Kickabout Team"
Lorrie, When are you coming back to North California for a visit. CAn you come and visit my AYSO team U12, please?